Install these bulbs in an existing C7 (E12) cord or shop for new C7 Christmas light cords here. New LED bulbs style --- SMD!! This bulb is dimmable and can be used in animation. Is slightly brighter that prior year's stock. WOW! These Purple bulbs will catch anyone's attention. Use them for your Outdoor Halloween display or take them to your next tailgating event. Bag of 25 bulbs, price is per bulb. 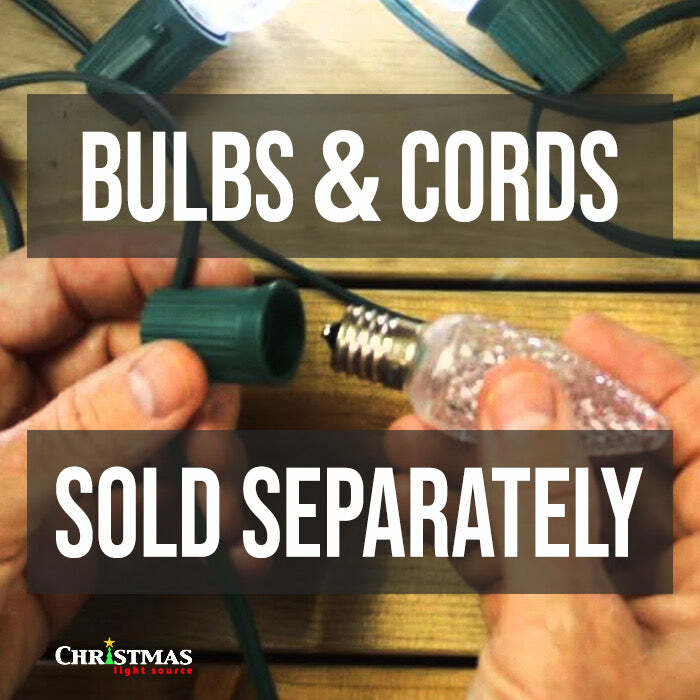 We recommend that you plug all of your LED Christmas lights - both bulbs and strings - into a surge protector whether installed indoors or out. Retro-Fit, Faceted, Dimmable Replacement Bulb. Made by Minleon. What is the difference between LED and incandescent Christmas lights? What is the difference between faceted and smooth bulbs?